Everyone has experienced an illness that rips through the workplace like lightening. 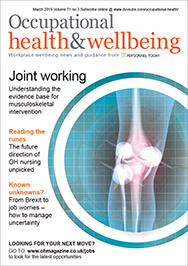 Occupational Health magazine offers tips for both employers and staff to minimise the risks. 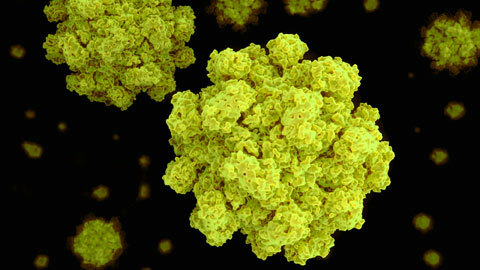 Predictions from the Health Protection Agency in January say that a rise in norovirus is just around the corner. The vomiting bug wreaked havoc in offices at the end of 2012, with total estimated cases surpassing one million in the UK alone. Norovirus can be transmitted through direct contact with people who have the virus or through contaminated surfaces and objects. As the infectious dose is very low and the virus can survive in ambient indoor environments for lengthy periods, it can spread quickly, affecting large numbers of people. This is particularly true in offices with open-plan seating and a “hot desk” culture, making it much more difficult to prevent cross contamination. In 2012, new research from the Centre for Economics and Business Research found that employee absenteeism costs the UK £6.5 billion per year. It is vital that businesses and their staff are aware of the steps they can take and the practical advice on offer to improve hygiene standards in the workplace and reduce the risk of staff contracting the disease. The most simple of changes to personal hygiene habits or office layout may help maximise the chances of keeping your workforce healthy and bug free. 1. Promote good hygiene standards. Aside from encouraging staff to regularly wash their hands, hand sanitisers should always be available. The most effective kind are non-alcohol based. These form a gentle but long-lasting barrier across hands, inactivating germs for hours after use and protecting against a wide range of bacteria and viruses, including the norovirus. 2. Ensure thorough cleaning regimes. Make sure regular, thorough cleaning takes place in communal areas such as kitchens and washroom facilities. It is recommended that companies that seat their staff in open-plan offices with only basic workday cleaning in place undertake a professional deep clean at least twice a year to prevent the build-up of hidden, embedded dirt and contamination, and the associated micro-organisms, in the environment. 3. Keep desks clean. Encourage staff to clean their desk areas by providing anti-bacterial wipes and sanitising hand gels. 4. Prevent the spread. Ask staff who contract the virus to stay away from the office for at least 48 hours after the symptoms have disappeared to avoid contaminating their friends and colleagues. 5. Conduct a deep clean in the event of an outbreak. When a number of individuals have contracted the illness at work, call in professionals to deep clean the office. 1. Ensure good hand hygiene. Practice good hand hygiene by regularly washing your hands throughout the day, especially after going to the bathroom and before preparing food. The recommended length of time that you should wash your hands is approximately 30 seconds. Thorough hand washing aids in the reduction of potentially harmful bacteria and viruses from the hands. 2. Clean your desk regularly. Ensure all surfaces are thoroughly cleaned if you eat at your desk, and that all food is removed and stored in the kitchen area when you are finished eating. If possible, avoid eating at your desk and use communal eating areas where provided. 3. Do not use shared items, such as tea towels, which are normally present in communal areas and used by lots of people. These items can house high levels of bacteria and are often not cleaned regularly. Alternatively, encourage your employer to provide hand-towel dispensers and appropriate lidded waste receptacles. 4. Prevent the spread. If you suspect you have symptoms of the norovirus – which include headaches and vomiting – notify your workplace and do not return until 48 hours after the last symptoms have disappeared. If you go into work, you could pass on the virus to your colleagues. Following these tips and ensuring you maintain good hand-hygiene levels will put you ahead of the game when it comes to tackling norovirus. It is a tricky virus to control, but there are measures that both staff and businesses can take to maximise their chances of staying unaffected.